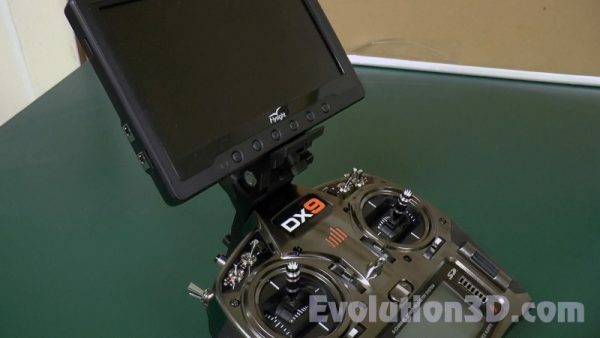 Deluxe FPV LCD Mount.. for the DX9 Transmitter.. Just snaps on.. Extremely Strong.. 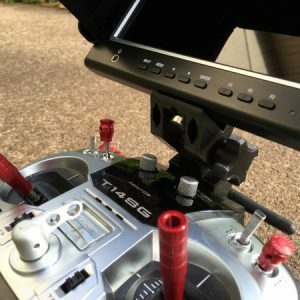 Tilt Adjustable.. Quick Release Secure Fit.. 1/4-20 Camera Screw Included.. 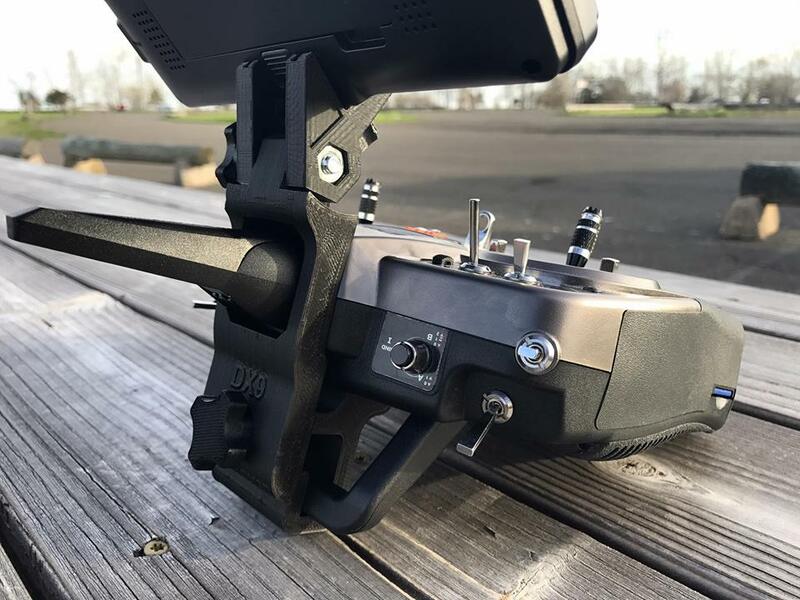 Note: Version shipping now.. comes with nylon thumb screw for rear section near handle/antenna.. this is to reduce any potential interference as there is also an antenna in the radio handle.. PRODUCT UPDATE: This mount is now made with PET-G material which is stronger and more heat resistant. It’s about time someone is making cell phone and tablet mounts that just plain works. I have an android phone and 8″ Samsung tablet that I use. I previously had a Tarot mount which was attached to the neck strap mount. You just couldn’t tighten the screws enough and the phone or tablet still sagged. I was constantly repositioning them. I found your site while browsing images on Google. At first I thought it was another Chinese site but upon further investigation found that you were not too far from me. Like you said “An instructional video is much easier to follow”. Thank you for a great product. 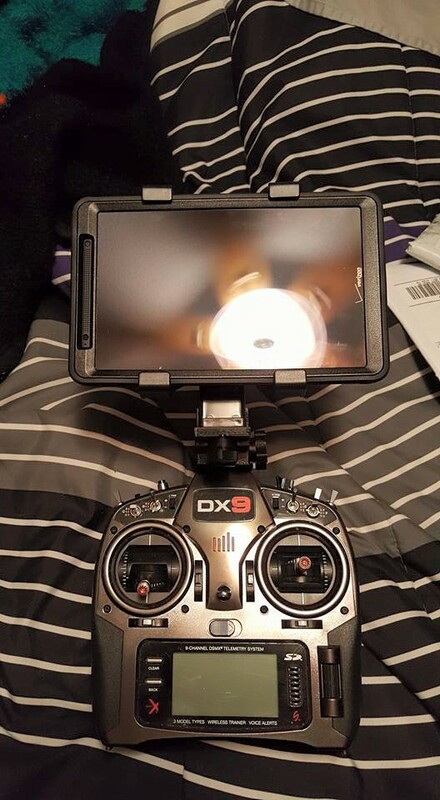 Perfectly fit monitor mount for DX9..
Ok folks .. if you are on the fence about this thing just buy it. 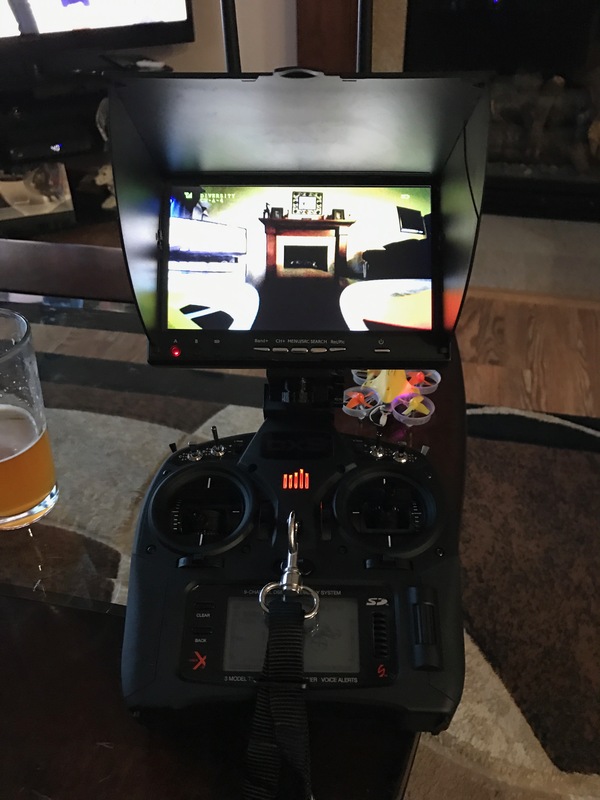 You will not find a better quality mount. 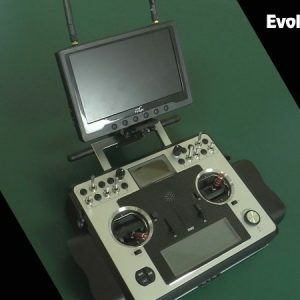 This thing will change your point of view about printed parts and you will suddenly realize that all the parts you have ever got are crap compared to the quality of this thing. I’m pretty damn impressed. 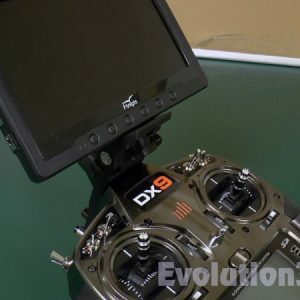 The dx9 monitor mount is amazing. It is worth every penny. The product is extremely robust and should provide years of service. 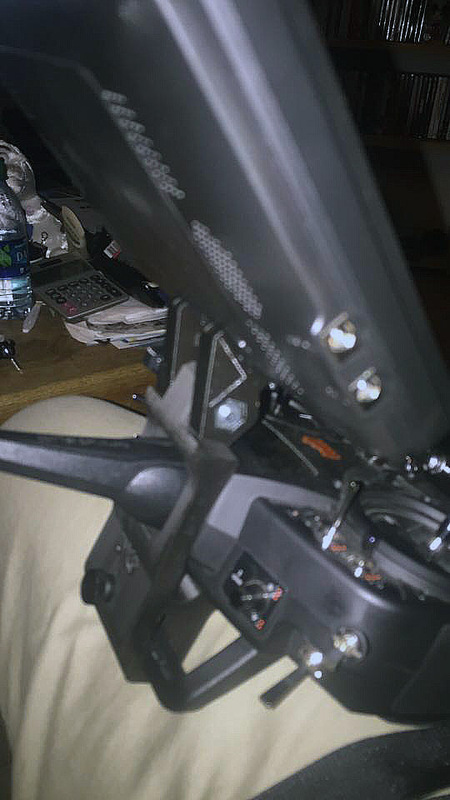 I appreciate the monitor further back on the controller than the placement with other mounts.